I think my all time favorite time/place to read is in the summer while floating in a pool, or sitting on the deck at the beach with the sea breeze to keep me cool. That being said, there is something so nice about curling up with a good book under a blanket with a mug of something warm, and hopefully a cat in your lap. Back to reality Liz...it's hot here, so the blanket/hot drink scenario is out and unfortunately we don't have a cat. There's no pool, and while there's plenty of sand, we don't have a deck, or a nice breeze. So I guess I'll stick to my couch with the air conditioner on and a glass of ice water! Regardless of where I am or the weather, I am still constantly reading. I've cut myself off as far as buying new Kindle books for a while and am going back through my library to re-read some favorites. Here are some of the ones I'll be pulling out of my archives! 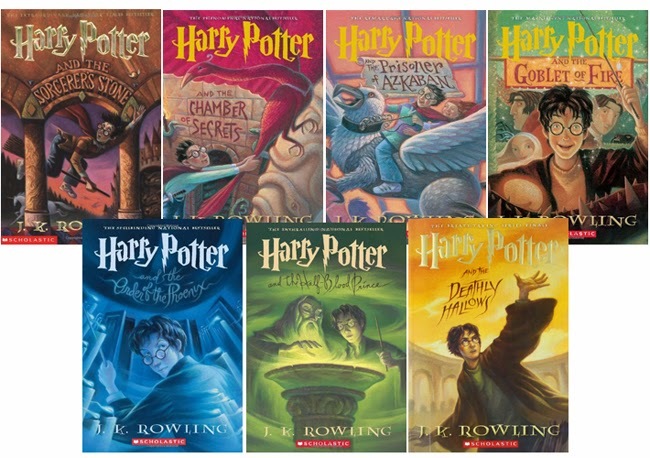 Even though I watch the movies regularly, it's been a while since I re-read the books! I've already read the series multiple times, but I love going back and doing it all over again. 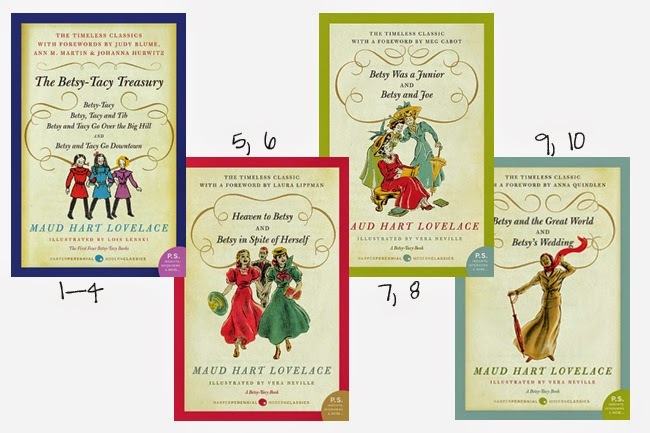 These are a series of books written in the 1940s and 50s that follow the lives of two little girls growing up in Minnesota. They are such sweet stories! If you like Little House on the Prairie, you'll love these. 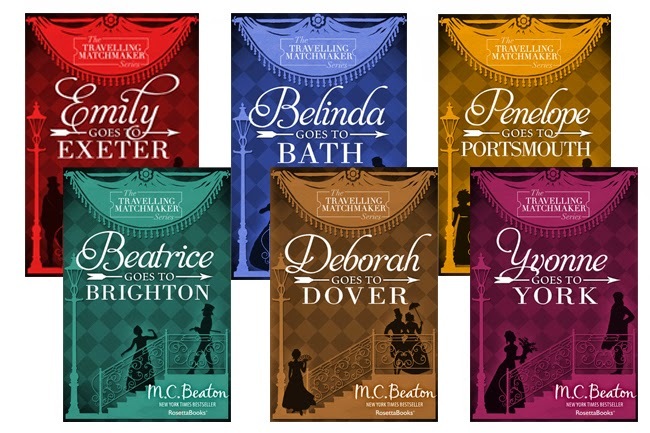 This series of novels all take place in Regency England, and follow Miss Pym, a retired housekeeper on her adventures throughout England. 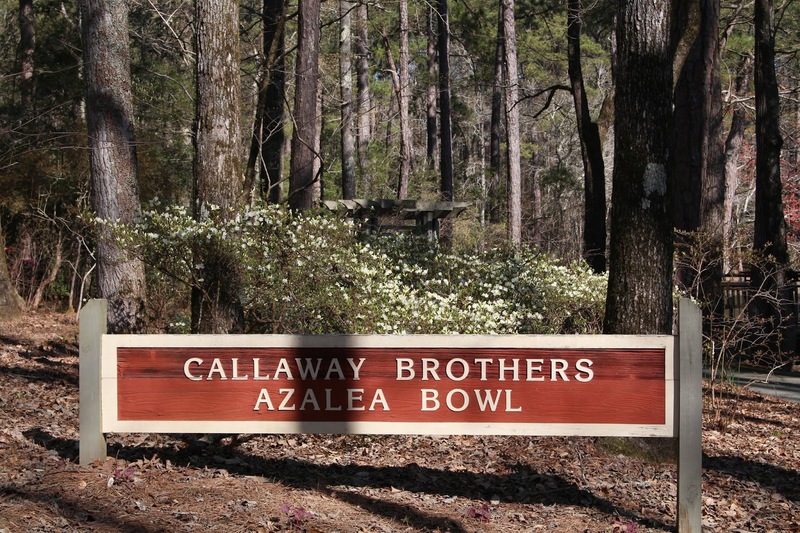 There is always a mystery to be solved and as the name of the series suggests, a match to be made! The characters are quirky and the stories are fun and fast paced. If you like historical fiction with a bit of a murder mystery twist, this series is for you! I just added it up, and that's 23 books. Hmm...better get started!